Finally something my kids and I agree on! These browines are amazing! Growing up in the 80’s I found myself indulging in Little Debbie snack cakes. My mom would buy them and pack them in our lunches and finding such a treat was like getting a hug from her in the middle of the day. Now I do the same thing for my kids. But This Recipe Is Even Better! For many kids from this generation, these gooey, sweet snacks were the perfect reward and one of our major temptations. 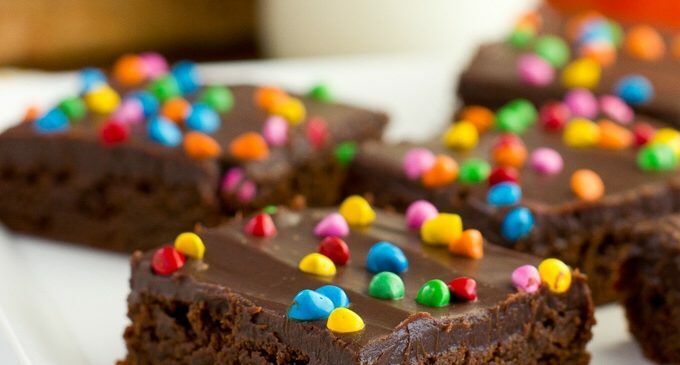 That's why we were so excited to find this recipe for one of our favorite Little Debbie treats: Cosmic Brownies! These rich and sweet brownies are not only loaded with decadent chocolate, they're also topped with luscious chocolate ganache made of intoxicating heavy cream and loads of chocolate chips. I mean, really, does it get any better than that? We don't think so, either! Worlds best recipes fan !